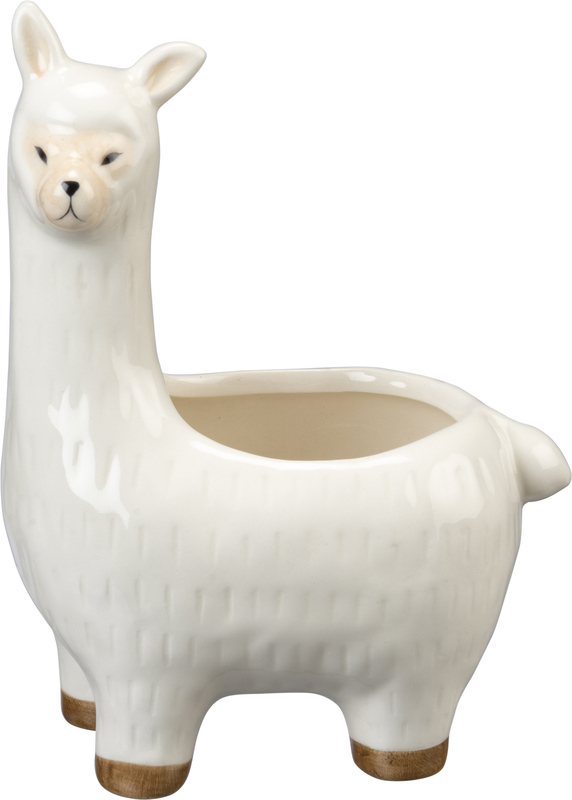 A refreshing yet functional dÃ©cor piece, this ceramic llama planter is perfect for planting succulents or other greenery. Complements well with coordinating styles for a playful indoor garden. 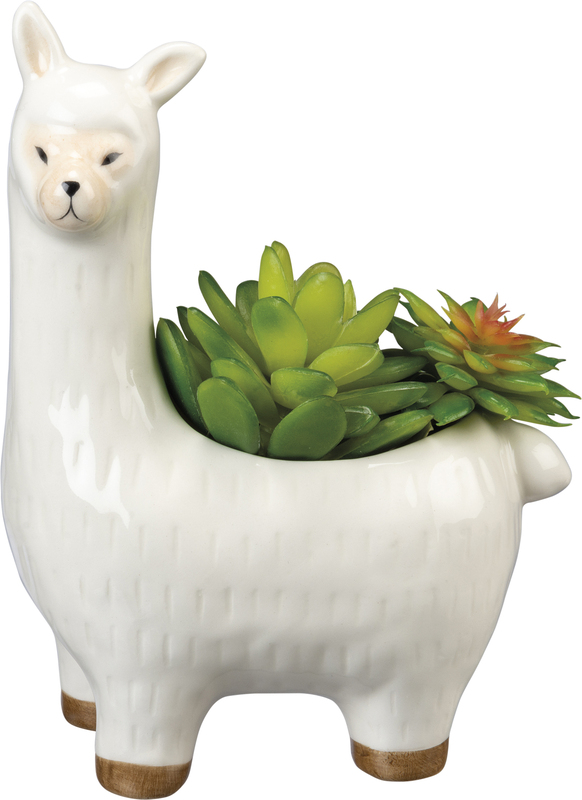 Greenery and rocks not included. Size: 5.50" x 7.25" x 3.25"